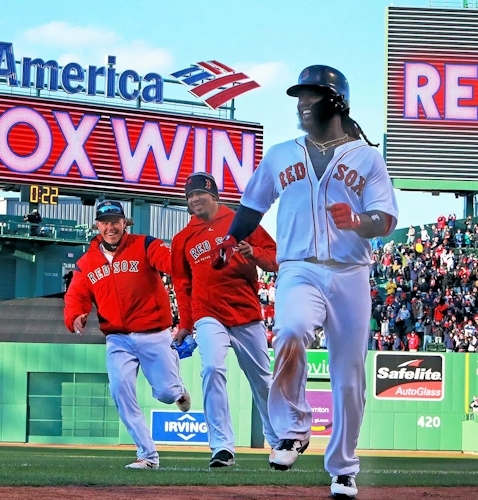 ON THIS DATE (April 5, 2018) ... Hanley Ramirez won the home opener for the Sox, his single in the 12th inning beating the Tampa Bay Rays, 3-2. With the bases loaded and one out, Ramirez hit the first pitch he saw the other way to right field. It landed in the last sliver of sunlight on a cold day at Fenway Park. Those left from the sellout crowd of 36,134 watched as Ramirez playfully tried to escape a mob of teammates before he was caught in front of the dugout. It was the longest successful home opener for the Sox since a 7-6, 11-inning victory against the Yankees on April 20, 1912, the first game at Fenway Park. The 6-1 Red Sox have won six in a row. He has six RBIs in six games. Jackie Bradley Jr. started the winning rally with a double to the gap in right field off Andrew Kittredge. Christian Vazquez then sacrificed the runner to third, clapping his hands as he left the batter’s box. The Rays intentionally walked Mookie Betts and called in rookie lefthander Ryan Yarbrough to face lefthanded-hitting Andrew Benintendi. He walked him on eight pitches. Ramirez put an easy swing on a changeup and the ball soared over the head of right fielder Carlos Gomez. Rookie lefthander Bobby Poyner pitched two scoreless innings for the win. He left a runner stranded at third in the top of the 12th inning. 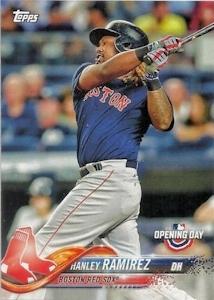 Trailing, 2-0, the Red Sox tied the game in the ninth inning, and it was Ramirez who had a big hit. Facing Tampa Bay closer Alex Colome, Betts led off with a single. After Benintendi walked, Ramirez lined a single to center field to score Betts. J.D. Martinez had a chance to be a hero in his first game at Fenway with the home team, but he grounded into a double play. Xander Bogaerts lined a two-strike pitch to left field, just over the reach of Mallex Smith as he went back to the wall. That scored Benintendi. The Sox left the bases loaded when Bradley grounded out. Red Sox starter David Price earned a loud cheer from the crowd when he walked off the mound after seven shutout innings. The lefthander scattered three hits, walked three, and struck out five. Price has thrown 14 shutout innings in two starts. Not since 1949, when Mel Parnell did it, had a Red Sox starter opened the season with consecutive starts of at least seven innings without allowing a run. Including the 2017 postseason, Price has thrown 26 consecutive scoreless innings at Fenway. Red Sox starters have an 0.86 earned run average and 0.88 WHIP. Carson Smith started the eighth inning of a scoreless game and immediately gave it up. He walked pinch hitter Smith before Matt Duffy drilled a poorly located two-seam fastball over the wall in center. The Sox, who have won four one-run games already, rallied to tie it then win it behind Ramirez.